Maintaining the exterior and interior looks of your car is as similar to taking care of an infant. So, if you're looking forward for a showroom finish, then you should shop car care products online in USA. While there are many types of wipes available in the market, we have showcased everything to keep the vehicle stain-free. These have a high absorbent capacity. Besides, you can think about accessories to aid you take good care of wheels and tires. Wall mount vac n' blo full size vacuum cleaner/blower. 4.0 php, the best wall mounted detailing vacu..
Meguiars MC20506 Motorcycle Plastic Cleaner/Polish - 6 Oz. 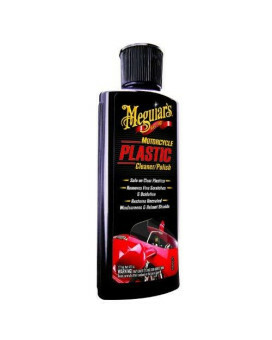 Meguiars Motorcycle Plastic Cleaner and Polish restores the clarity and shine on the clear plastic p..
McKee's 37 MK37-130 Headlight Protectant Spray, 8 Fl. Oz. McKee's 37 headlight Protectant spray is a polymer sealant that blankets your headlight lenses in a ..
Loctite Heavy-Duty Rubberized Undercoating is a heavy-duty undercoating that seals, protects, and in..
""Lake Effect Ice Scraper Specifications:- Color: Black. Great to use during the cold and frosty mor.. The Air Comb filter Cleaner blows out dust and debris from air filters, radiators, condensers and mo..
For over forty years Hopkins Manufacturing and Subzero have shaped the winter snow and ice tools cat..
Rust preventative with quick dry adhesion that won't crack or chip under normal conditions. Helps so..
Heininger's InstaCloth is a tablet that converts from a tablet to cloth in seconds, using only water..
GUNK M506 Concentrated Windshield Washer Solvent With Ammonia - 6 Fl. Oz. Gunk Concentrated Windshield Washer Solvent with Ammonia dissolves grim and bugs. It is concentrated..
Once you've discovered the numerous benefits of using a random orbital to polish and wax you will so..
Green Earth Technologies 1226 All Purpose Cleaner - 22 Oz. G-Clean All Purpose Cleaner is a powerful multipurpose and multi surface cleaner made with American ..
Galvanized Coating Product dimensions : L:10.9 X W:8.4 X H:8.5 Product weight : 9 pounds.. 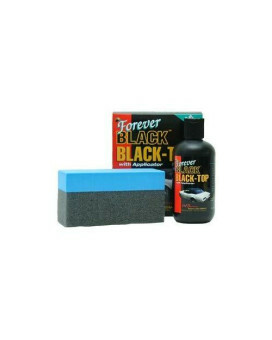 Forever BLACK Black-Top gel will rejuvenate your faded sun-damaged tops (vinyl, convertible, bimini..
Flitz TM 81585 Tactical Matte Finish Cleaner, 7.6 Oz. This product can be used to instantly and easily remove fingerprints, oil grease, water spots, soil,..
Energy Release P600 MuddOFF Non-Stick Pretreatment - 22 Fl. Oz. Energy Release MuddOFF is a breakthrough pretreatment product in non-stick technology. Energy Releas..
Dyna-Pro Paintable Rubberized Undercoating is a fast-drying, flexible, durable undercoating that can..